It's that time of week again already—yep, we're wrapping up your favourite articles and projects of the week. This time there were plenty of big, beautiful houses, a few clever compact homes and plenty of fix-ups, but your top 5 reflect this perfectly. What's extra special about this week is that a South African project has made it into the mix, and the good news is that we've got plenty more coming your way soon! Once again, bathroom renovations were very popular, and it totally makes sense; who doesn't want to see a transformation of a bathroom space from super average to chic and gorgeous? Anyway, now's your chance to sit back, relax and enjoy all the best stories from this week again, or for the first time if you're just stopping by now. Until next week—enjoy! This beautiful, rustic little home, built in the 1950s, was by far the most popular project of the week—perhaps due to its intriguingly beautiful facade. Really though, what's not to love about that door? The space has been restoed in an effortlessly chic way, which takes full advantage of the high ceilings and thick walls, retaining the core ideas of its heritage while also mantaining a modern look. This was achieved with a few modern and stylish adjustments which brought an otherwise somewhat outdated home into complete synergy. 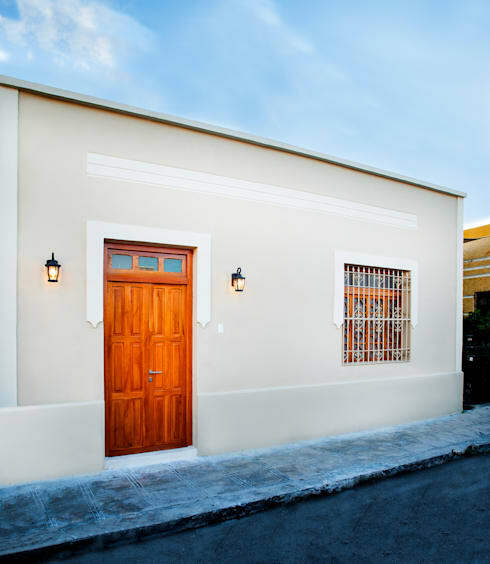 The team at Taller Style Arquitectura in Mexico are to thank for the beautiful turnaround of this small home with a big surprise. Take a look now! 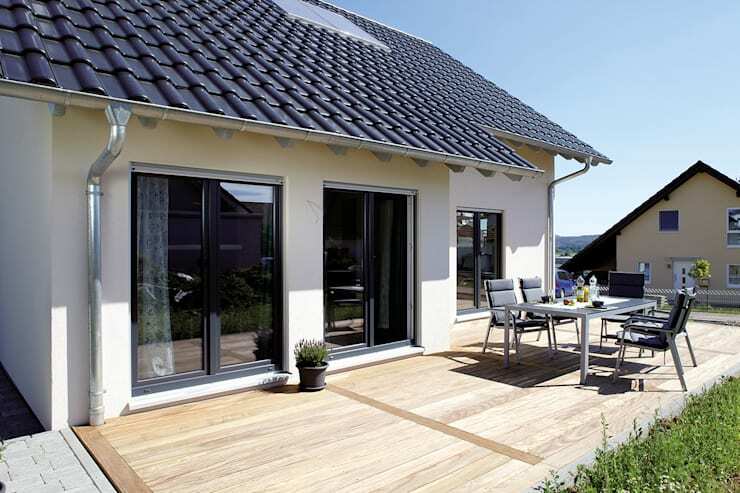 Fingerhaus GmBH of Germany always produce incredible, compact and super clever homes, and this design is no exception. The roof, the walls, the gorgeous deck—every element of this neat and stylish home is completely on point. Everyone wants their home to be a comfortable place where they can feel totally relaxed and at one with the world, where friends and family can gather or where one can simply spend time alone. The home is an extension of our personalities, and the character encapsulated in this home shows that the architects and designers had all these things in mind. From the exterior, the home looks like a simple cottage—a stylish and modern cottage, but a cottage nonetheless. That's why it's so wonderfully surprising to see the super chic, sleek and functional interior that takes full advantage of its compact 154m². Take a look at this dreamy, compact family home and let us know what you think! 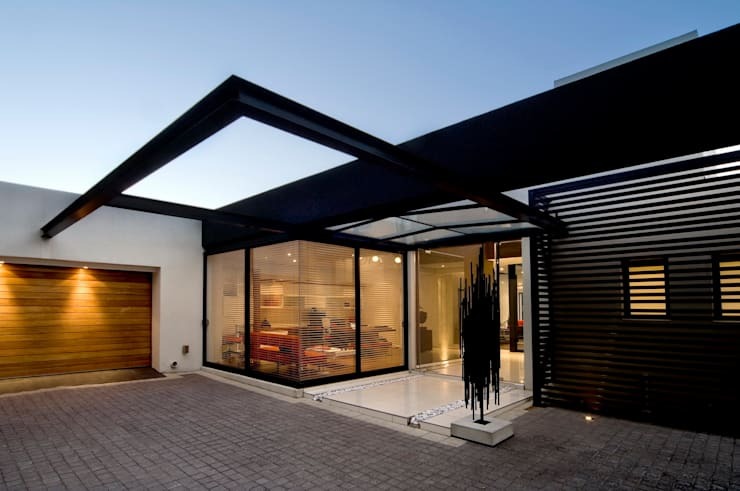 Whether you like the design or not, there is no denying that this home is seriously striking and intriguing. With such sharp, intense design lines, how could you not want to see what's hiding inside? What the interiors of this home do capture so well is a synthesis of design trends, which is becoming increasingly popular in contemporary design. In this case, modern and rustic are gelled together in perfect formation, contrasting in the most effective way imaginable. Again, whichever way you look at it, you can't deny that it's an architectural triumph and that the thought and precision that went into creating it is well worth celebrating. 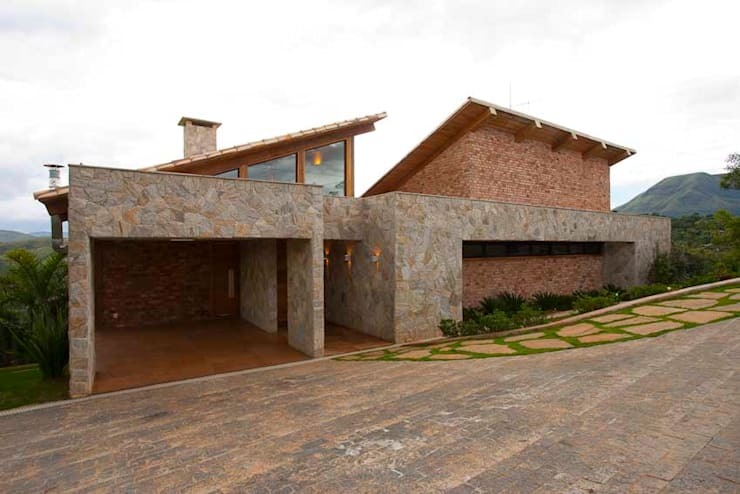 So take a look at this rustic, modern masterpiece, from David Guerra Architects and Interiors, beyond the facade and form your own opinion—hit or miss? Here it is, our beautiful South African project of the week, encapsulating and showcasing stunning design to the tastes of its Oaklands owners and the wonderful team at Meulen Architects. The home is contemporary and fashionable but also exudes a classic vibe, making it a perfect family home. House Mosi, as it's named, is beautiful yet functional and is actually based on a modification of an existing structure and was commissioned with very specific instructions: the final product had to match the owner's brief of having an urban feel reminiscent of the original 1950s property while also being a timeless, modern piece complete with a chic layout. Big ask, but we think they've pulled it off! Check it out. Oh, bathroom renovations. It is no surprise that you make the list once again, given how much we all love and adore to see these transformations unfolding. Really though, just take the image above for example—that's just one, sad bathroom among many, but you can't wait to see what it looks like now, right? It's always the case. 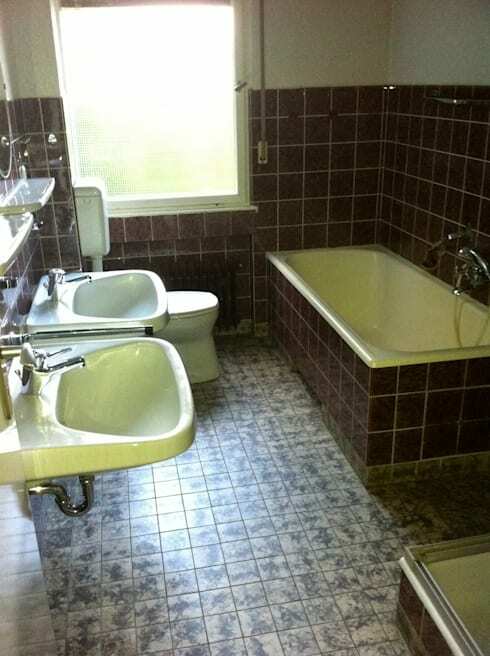 We could look at a million pokey old bathrooms and their modern makeovers and still want to see a million more. Sadly (but also conveniently) we don't have a million—but we do have seven, and you can take a look at them here. Which one is your favourite? What do you think of the top stories of the week? Did your favourite make the list? Let us know!